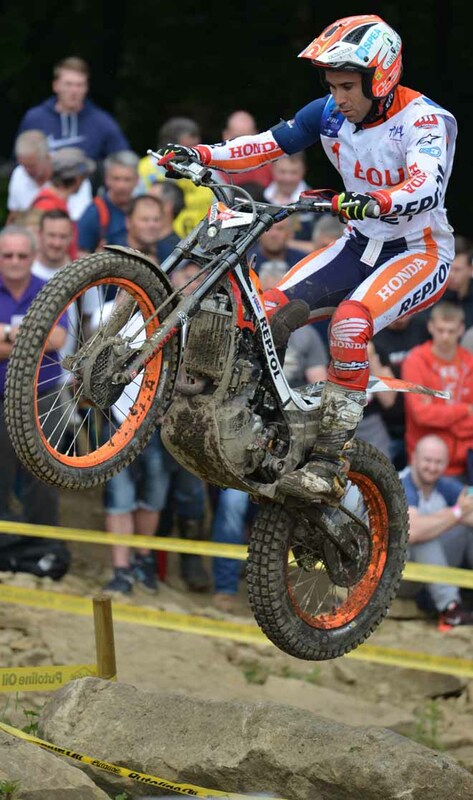 In a much higher scoring event than yesterday, Toni Bou – Repsol Honda still reigned supreme as he notched his tenth victory of the 2016 FIM Trial World Championship to move yet another step closer to taking a record extending and historic tenth successive outdoor title. 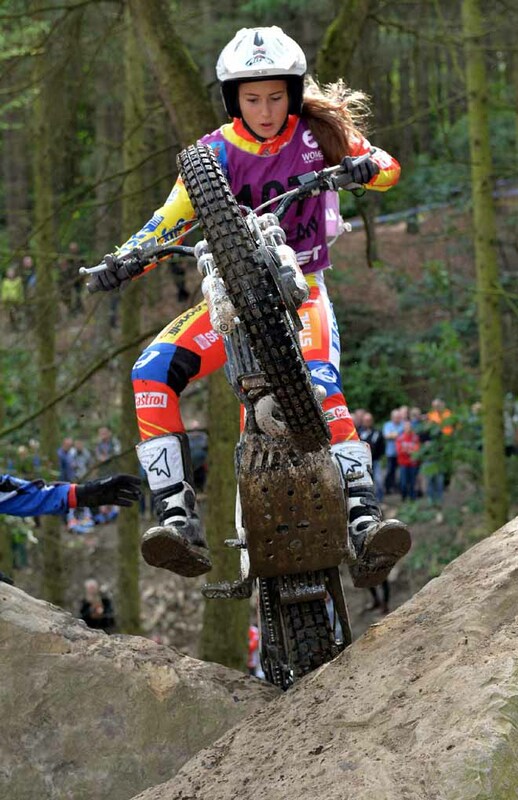 With the sun shining overhead Bou again ran out an easy winner on the second day of the British Trial GP held at Tong, with his winning advantage being twenty marks over Adam Raga – TRS. 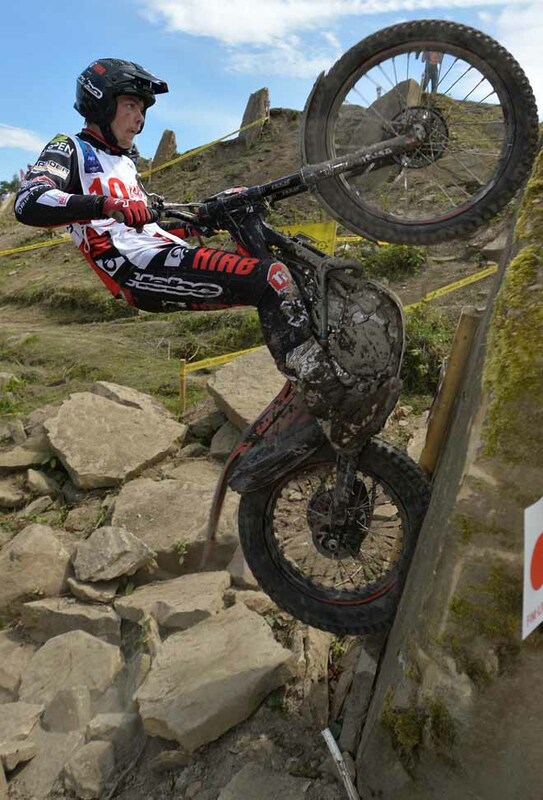 Despite Raga’s best efforts he was unable to keep in contact with Bou as the Trial wore on and finally finished fourteen marks in front of third place Albert Cabestany – Sherco. 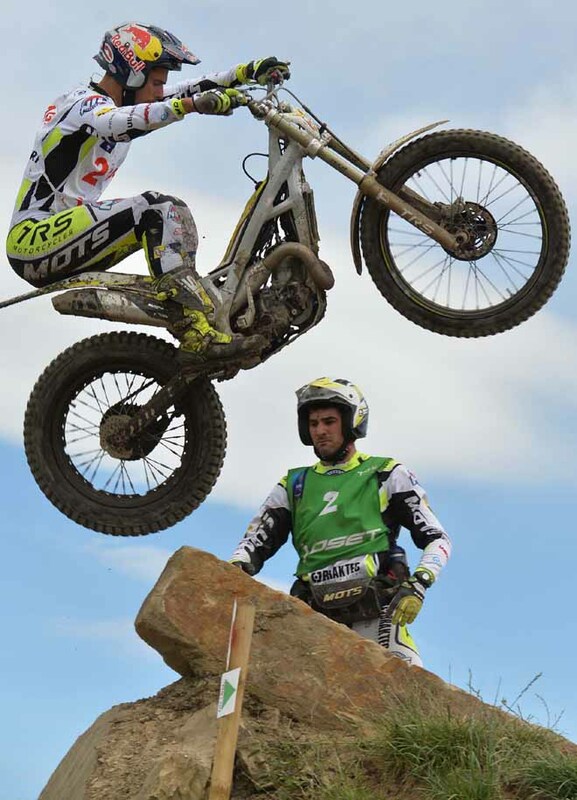 Cabestany can count himself slightly fortunate as he edged Jeroni Fajardo – Vertigo off the podium by a single mark. 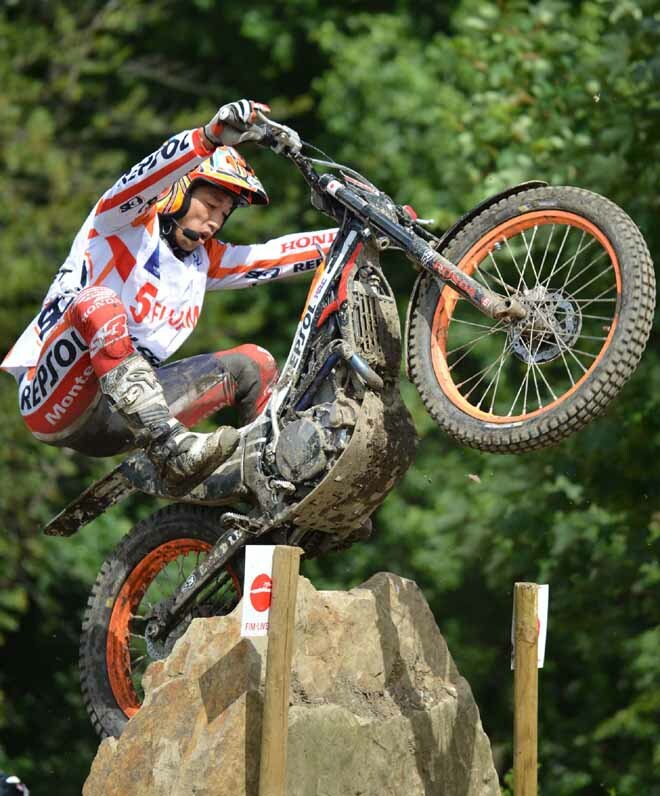 With Fajardo in fourth, Takahisa Fujinami – Repsol Honda again could only managed fifth spot on what was a disappointing weekend for the veteran campaigner. 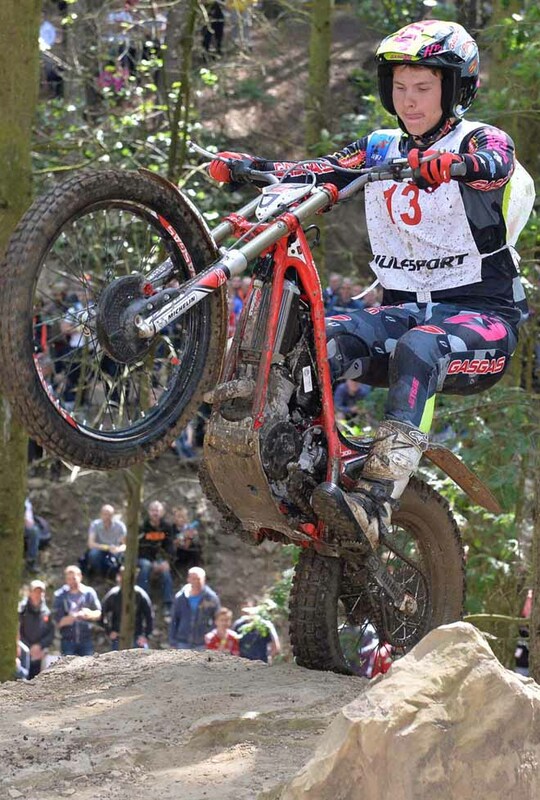 Jaime Busto – Respsol Honda was one place higher on day two as he took sixth spot ahead of James Dabill – Vertigo in seventh who was unable to repeat his podium placing from twenty-fours earlier. 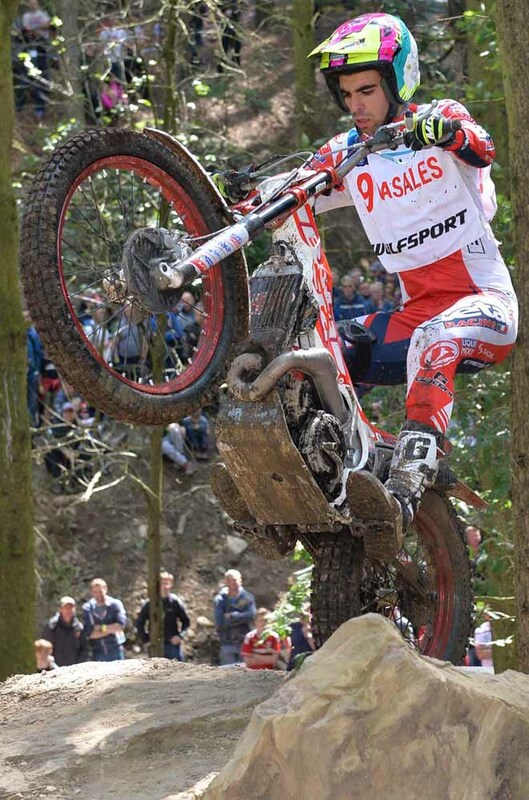 Eighth, ninth and tenth positions were filled by Eddie Karlsson- Montesa, Miquel Gelabert – Sherco and Franz Kadlec – Gas Gas on day two. 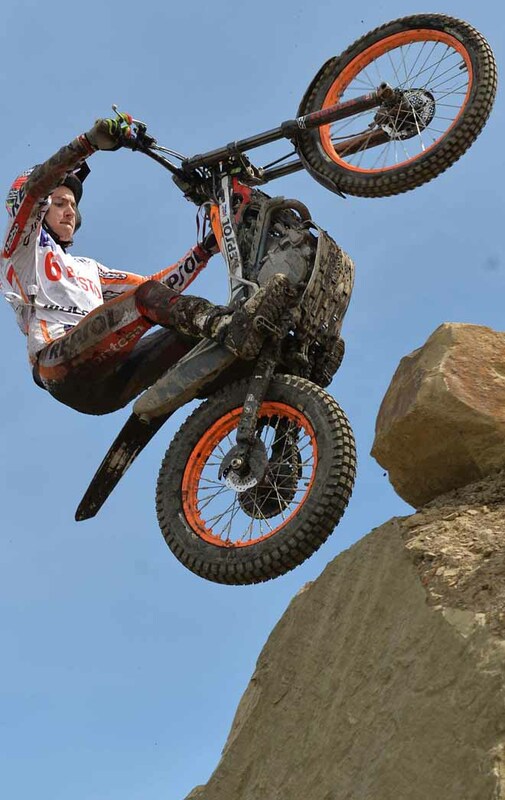 Dan Peace – Gas Gas brought an end to Jack Price’s – Gas Gas winning run who only yesterday became the winner of the 2016 FIM Trial2 World Cup. 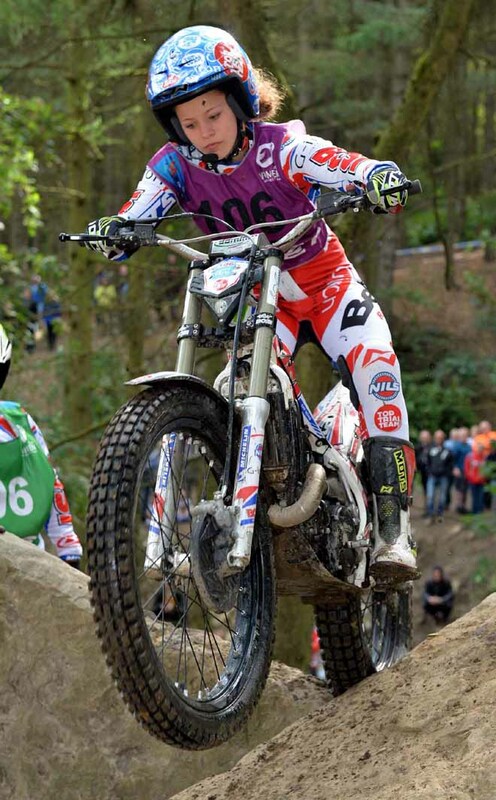 Price had won the last three events en route to taking the title, but had to be content with second place today as Peace recorded his second victory of the campaign. 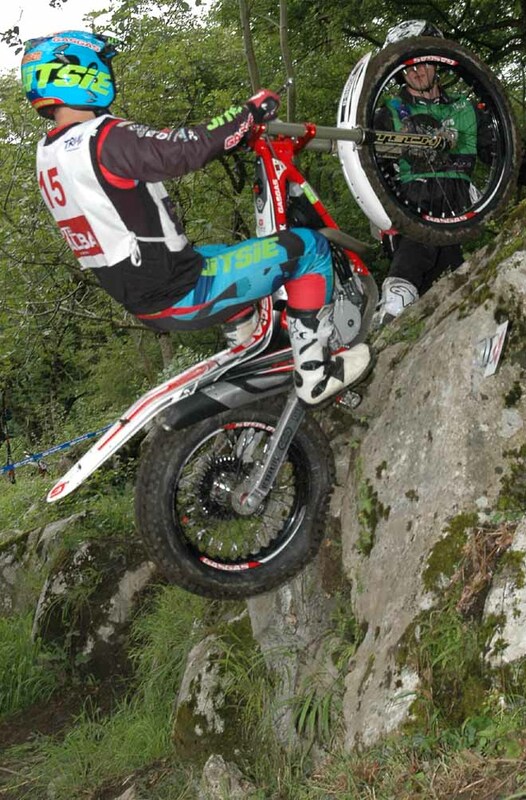 A great last lap gave Dan the win over Jack by three marks as the same margin separated second and third places where Iwan Roberts completed a British 1-2-3 in this class. 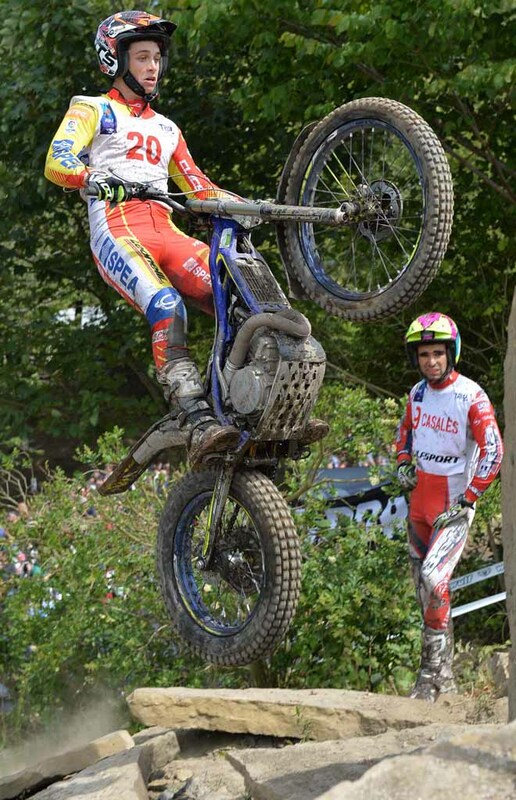 France’s Gael Chatagno – Sherco and Luca Petrella – TRS rounded out todays Trial2 class top five. 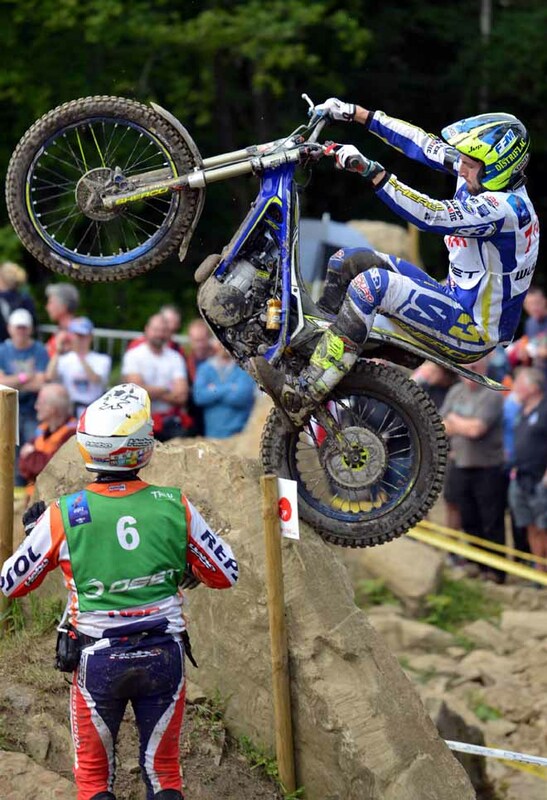 Roberts now looks favourite to finish second overall in the general standings after Arnau Farre – Gas Gas lost vital ground in the points race as he placed tenth on day two. 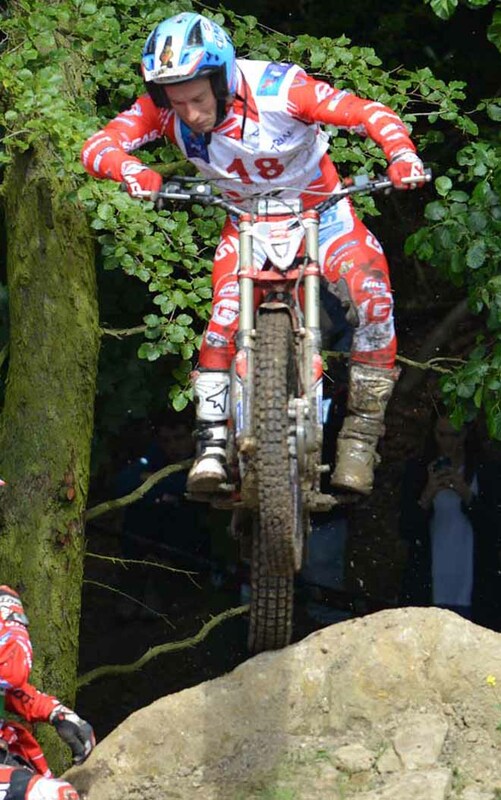 Jack Peace – Gas Gas signed off his Trial125 career with his tenth win of the year to further cement his position as winner of the 2016 FIM Trial125 World Cup. 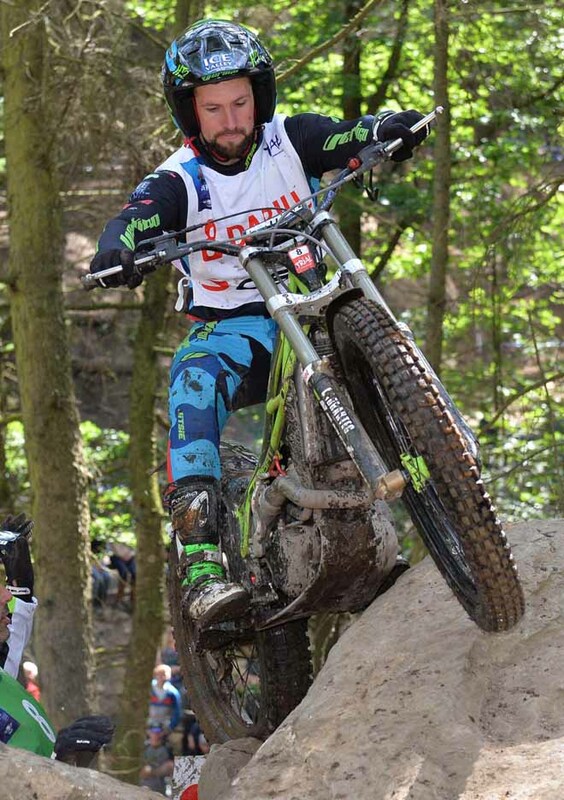 Despite an uncharacteristic five on his final lap, Peace still ended the day seven marks clear of surprise runner up and compatriot Billy Green – Beta. 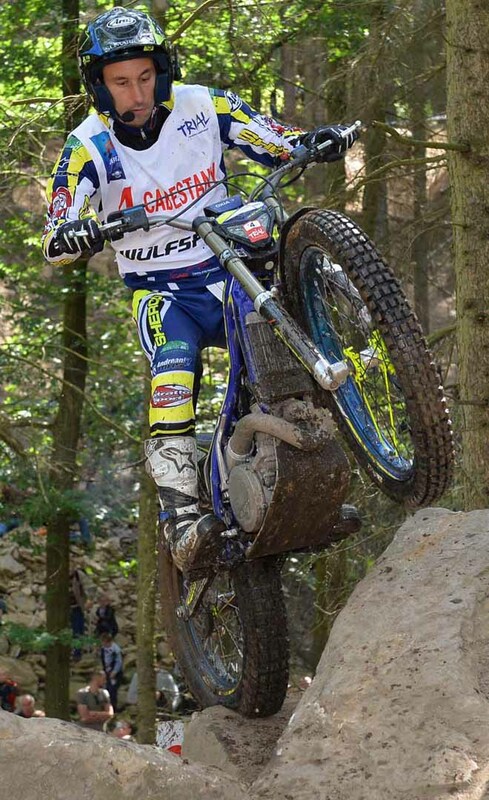 After taking third spot on his debut yesterday, fourteen-year-old Green today went one better to announce himself on the World stage in some style. 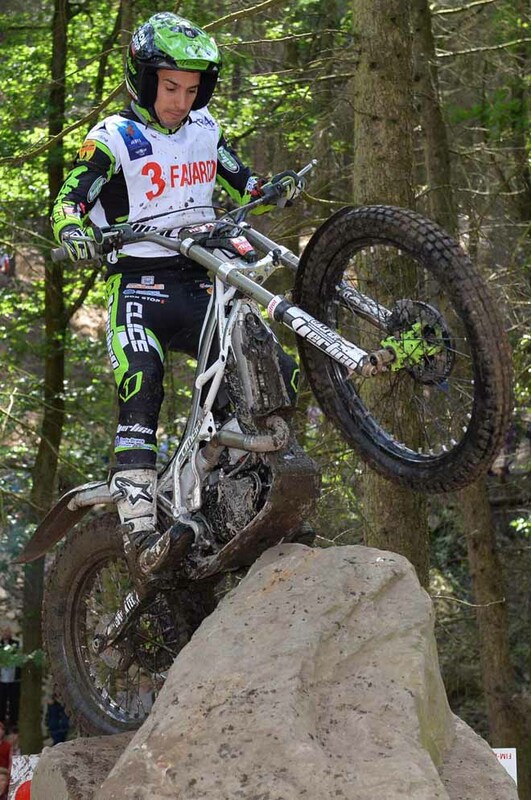 Spain’s Eric Miquel – Sherco completed the Trial125 class podium on day two as Max Faude – Beta failed to make the top three for the first time this season. Runner up in the series, Faude, along with Peace will move up to the Trial2 class for the final round of the 2016 series. 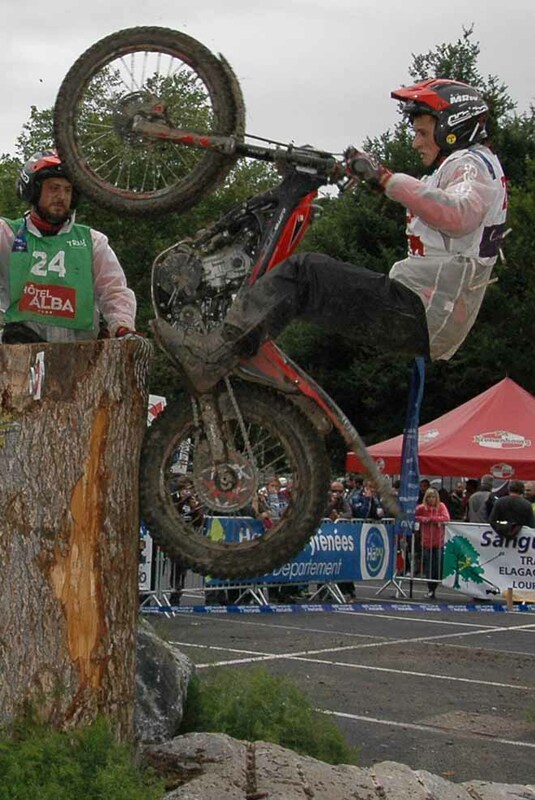 After the recent hectic schedule, the 2016 FIM Trial World Championship will now break for its traditional summer recess before Italy host the final event of the current series during the first weekend in September. 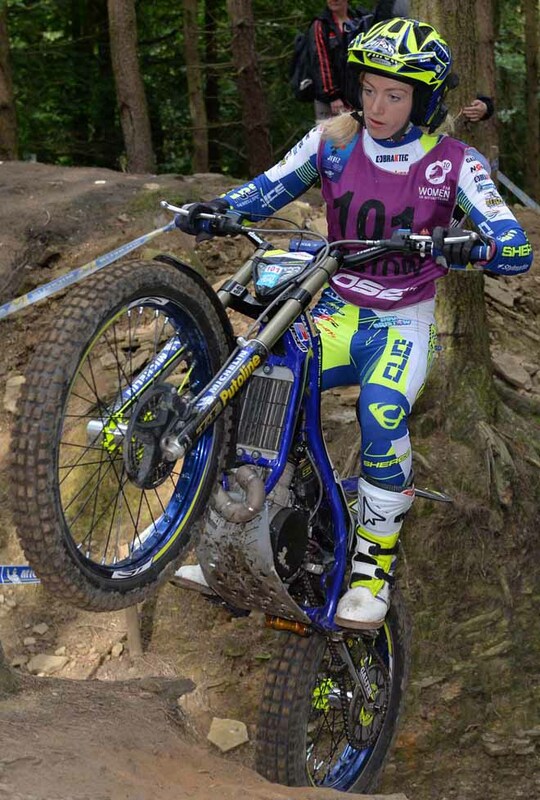 Emma Bristow – Sherco made it back-to-back wins over the opening weekend of the 2016 FIM Women’s Trial World Championship after she again took the victory on the second and closing day of her home Grand Prix held at Tong, Great Britain. As had been the case just twenty-four hours earlier Bristow again took control of the event from the first of the two laps of twelve sections as she completed her first tour for the loss of only six marks, despite parting with an early three in section three. 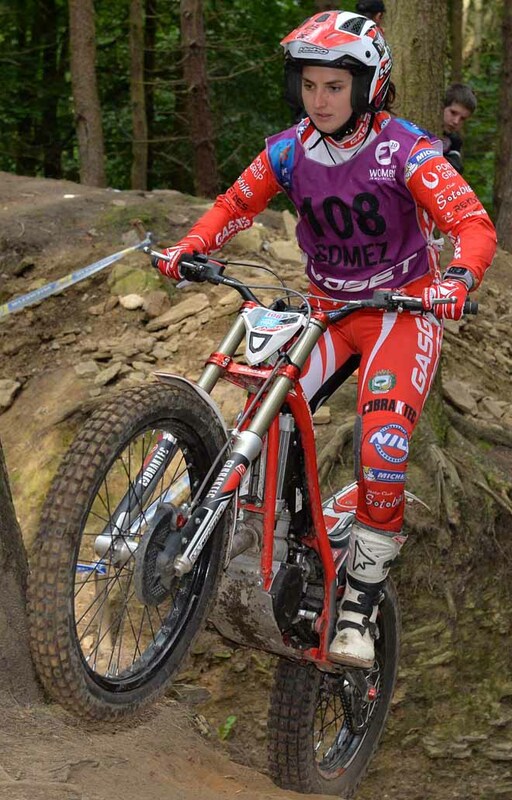 Emma maintained her form throughout the second lap and only added a further three marks to her tally to end the day on nine, six marks better than her nearest challenger. For the second day running, but with five modified sections, it was Rebekah Cook – TRS who finished the Trial as runner up, this time with a total of fifteen marks. Cook actually stole the early lead over Bristow, but fives in section six and nine spoiled what was an otherwise strong showing. Fourth at the end of lap one, Rebekah rode her way back up the leader board during the closing twelve sections to claim a well-deserved second spot come the close of play. 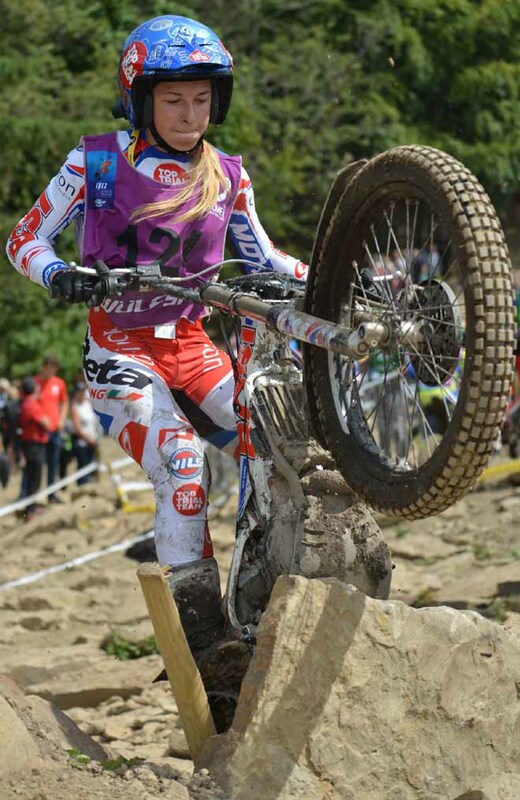 With two established names occupying the top two places, perhaps the story of the day was Spain’s sixteen-year-old Berta Abellan – Beta who claimed her first ever podium to supersede her career best fourth place from yesterday. 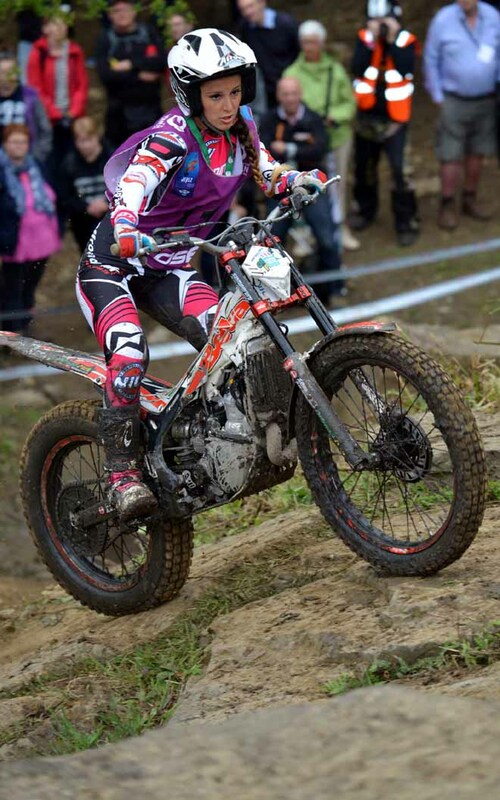 Over the opening weekend of the new series, Abellan has already announced herself a top three challenger and now holds third spot in the general standings behind Bristow and Cook respectively. 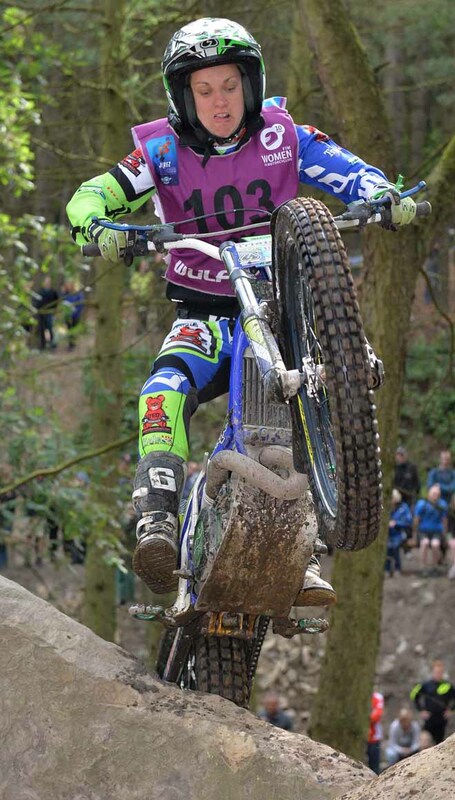 Berta’s far more experienced compatriot Sandra Gomez – Gas Gas had to settle for fourth spot today as she finished four marks behind her new and younger pretender. 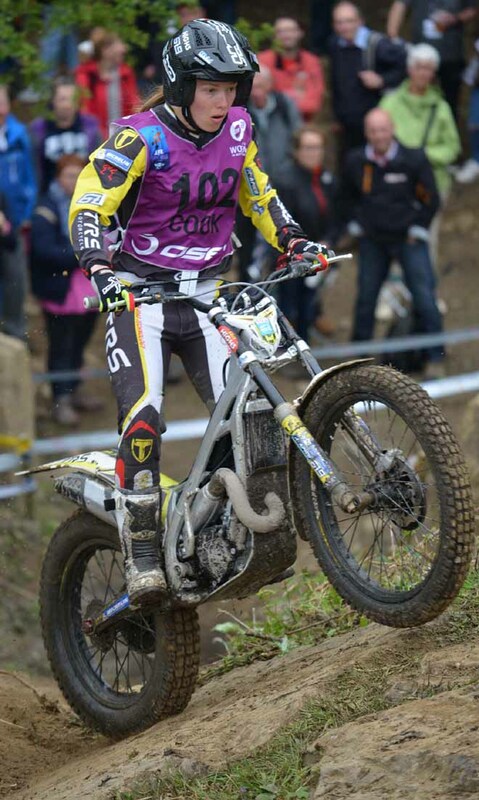 Gomez sits on twenty-eight points in the title race with Abellan, but is currently demoted to fourth in the series standings after having recorded the lower of the day two results in this Spanish pairing. 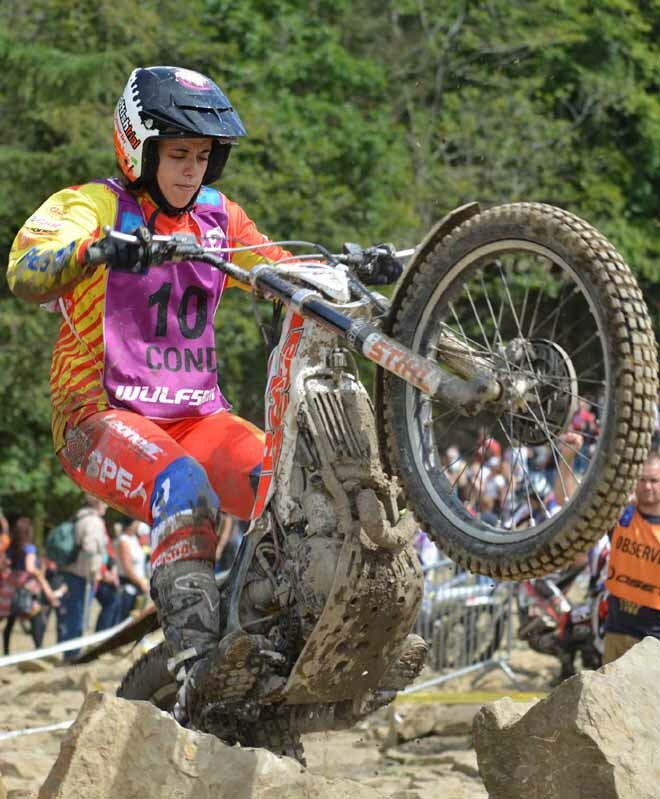 Mireia Conde – Beta made it three Spanish girls in the top five as she placed fifth, leaving Katy Sunter – Gas Gas, Theresa Bauml – Beta and Maria Giro – Montesa to slot into places sixth through to eighth respectively. 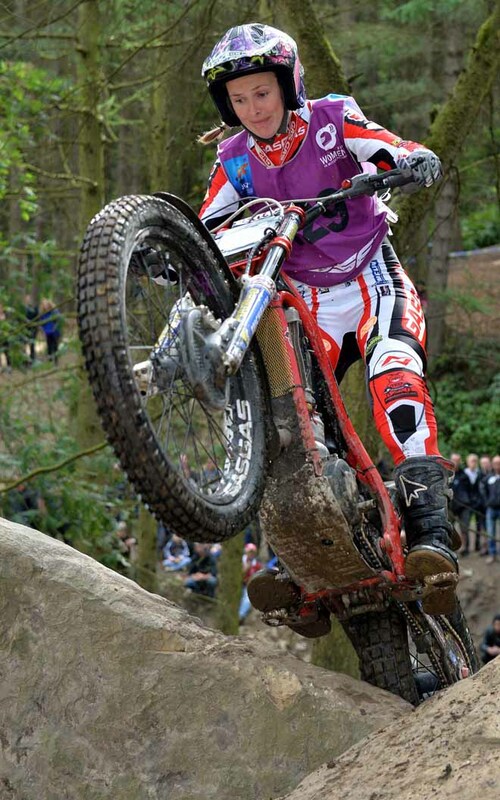 The British duo of Jess Bown – Scorpa and Donna Fox – Sherco rounded today’s top ten. 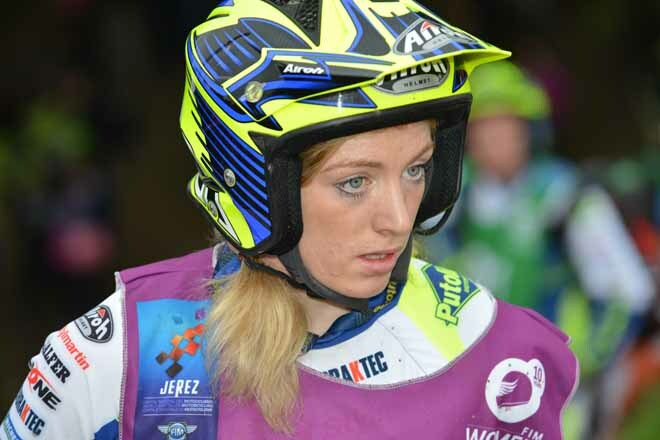 As with the men’s series, the 2016 FIM Women’s Trial World Championship will now pause for the summer break before resuming for the second round in Italy in early September. Si accontenta di fare metà dei punti di Raga secondo classificato. Grattarola non ingrana ed e' 13-esimo. Bene Patrella quinto nella TR2, dove Petrangeli e' undicesimo. Ancora la bella Emma fra le donne, con Sara Trentini undicesima.